gives fast rewards that keep you motivated, and empowers you to build your fulfilling future your way. Want to earn some extra money sharing your favorite Products with friends? Maybe you dream of becoming your own boss? No matter your goals, your Nu Skin journey will be distinct to you. Which is why with Velocity, you choose your path— and your pace. where you can set your own hours and work toward your specific aspirations. and monthly so both you and those you bring to Nu Skin get fast rewards. timely payments, incredible recognition, and other sleek incentives. There’s more than one way to succeed—it’s your life, your business, your way. purchased by your Registered customers (except Brand Representatives) directly from Nu Skin. • Bonuses will generally be reflected in your Velocity Account within one business day. that at 5% and extends to 40% on your entire group’s commissionable sales. • Complete 12 Building Blocks, 4 of which are also Sharing Blocks, within 5 consecutive months. 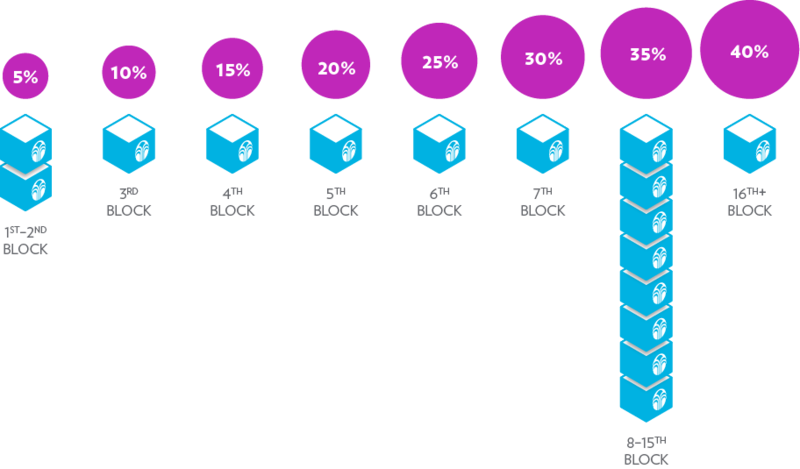 • One block = 500 points in commissionable sales. and last day of every calendar month, Mountain Standard Time (Utc-7). • Create Leadership Teams to earn Leading Bonus of 2.5%, 5%, or 10% on the commissionable sales of your Team. 4 or more Buildings Blocks that month (excluding Flex Blocks). Sales Volume (LTSV) milestones in a calendar month. • Bonuses determined by tallying all the sales from your Team and will be paid at each calendar month ends.